Buying a new build property or a converted property ‘off plan’ is quite different to buying a standard property, as such you will need a conveyancer who is familiar with the new build or part-exchange stages, the contractual terms regarding the construction of the build, the handover procedures including the process for obtaining mortgage monies which may include the Government’s Help to Buy scheme. Most developers will often require you to exchange contracts within a relatively tight deadline – often 28 days or less and consequently your conveyancer will endeavour to meet these deadlines. Our New Build Team work with developers, their legal advisors and sales offices and as a result are preferred solicitors for new build property buyers by national developers. As part of our conveyancing work with your new build we will review the developer’s title, planning permissions and the construction of other items on the development, including drains and sewers. Advise you as any ‘new build guarantee’ and explain how this will protect you. Liaise with you regarding the terms of the new build contract for the property you are purchasing and upon completion deal with the particular requirements of HM Land Registry for new build properties to ensure the property is registered in your name. Why choose Thorneycroft new homes conveyancing? At Thorneycroft Solicitors, we offer a bespoke new home conveyancing service which is tailor made to support your new homes purchases to ensure the house move runs smoothly. 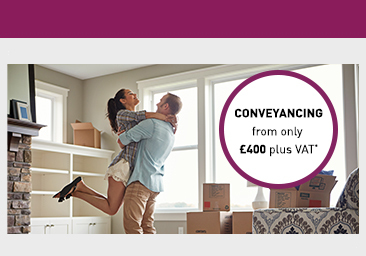 New homes sales need special attention, which is why Thorneycroft Solicitors, as members of the Conveyancing Quality Scheme, as well as panel members to all major lenders, are well placed to offer the specialist conveyancing service required for new homes sales.